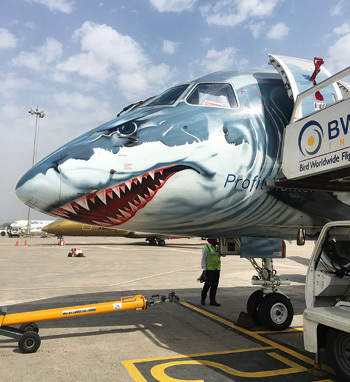 Vishal Thapar (Thapar): What’s the USP of the E190-E2? Cesar Pereira (Pereira): It’s the efficiency of this jet. It has the lowest operating cost in the single aisle market for 70-150 seats. The airlines can reduce their costs, of course, while also ensuring passenger comfort. Every small detail on this aircraft was thought (of) to bring comfort to the passengers. So, from large overhead service bins, individual passenger service units, comfortable seats, for everything we had the passenger in mind. So, it’s low costs, high reliability and passenger comfort. 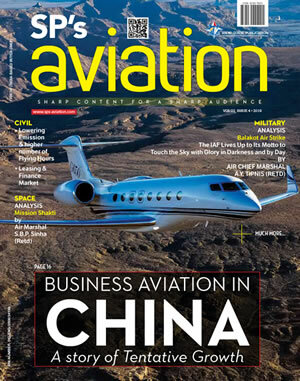 Thapar: Are you competing with the turboprops or cutting into the market for the established narrow-body aircraft? Do you have a defined market space for these jets? Pereira: That’s the beauty of this segment from 70-150 seats. It provides more flexibility than turboprops but also offers less risk than a narrow body for the airline while opening up new markets. So, it fits perfectly between turboprop and narrow body market. We can do the job of both. However, the turboprops are limited in range and speed, and passengers do not like noise and vibration. A jet could offer a similar capacity in a more efficient way. More cycles, higher utilisation, more comfort, and also greater range. There’s a huge gap in the 70-150 seat segment in India, and for any mover into this segment, there’s great advantage. The first mover to tap the market between turboprops and narrow body, there’s a blue ocean, a unique position in this market. It also fits in with India’s UDAN scheme. 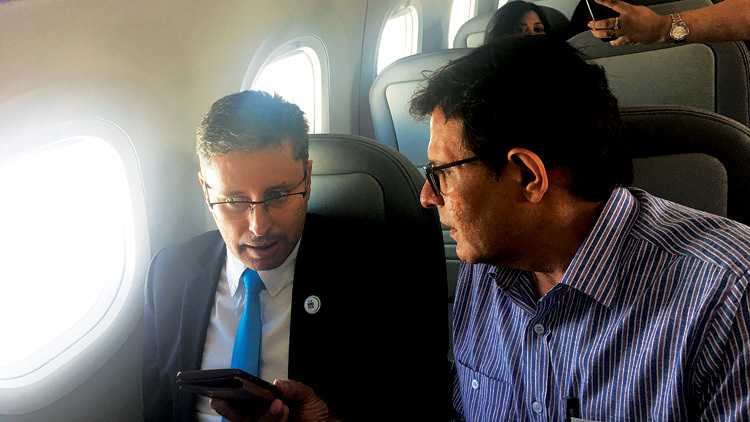 Thapar: You claim that the E190 is the cheapest to run. Just how cheap is it to run? Pereira: If you compare to A320, which is a very popular aircraft here, the operating cost is 20-25 per cent less. With every take off, every flight, you’re saving 20-25 per cent. The savings per seat is between 5-10 per cent. Thapar: What’s the break-even point for this aircraft? Pereira: With reasonable use, this aircraft can break even with about 50 passengers on board. Azul Brazilian Airlines published this. 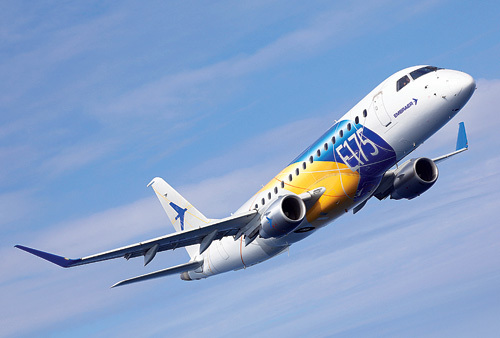 They said that with the previous generation of Embraer jets, they could break even with 60 passengers. The A320 needs 120 passengers to break even. So, I can be more competitive with less passengers. Thapar: Are unrealistic fares bleeding Indian carriers? Pereira: That’s another attribute of this airplane. You have less seats, You don’t need to discount fares to fill empty seats because the empty seats are just not there. You can have healthy fares at low operating costs. Fares are a function of demand and capacity. If you can control capacity, you can also have good fares. That’s the beauty of this aircraft. Thapar: What’s the message to struggling Indian carriers? Pereira: That’s the point about the E2. Because everybody here is trying to do the same thing with big narrow bodies but not everybody is being successful in doing that. So, they must try something different. They need the right equipment that can reduce the costs but also keep up the presence, the comfort and the service. Thapar: Is there a brand trap involving Airbus and Boeing narrow bodies? Pereira: That’s for sure. It’s in the comfort zone. But it’s not working for everyone. Thapar: So, is every airline other than IndiGo your target customer here? Pereira: Oh yes. This is flexible enough to operate in a low cost carrier in a high density configuration and also offer premium service to passengers, with no middle seat and options for business class and premium economy. So, its flexible enough for any business model. You cannot copy IndiGo model. You must differentiate. You cannot differentiate by offering the same product on the same aircraft as the market leader, IndiGo. You have to do something different. 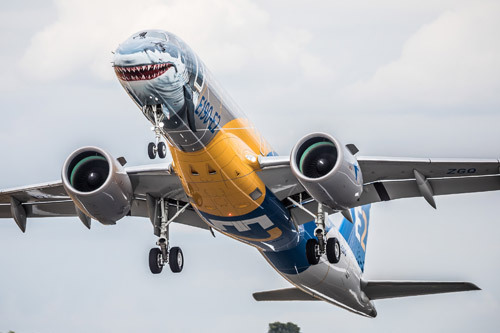 Thapar: How is Embraer’s partnership with Boeing likely to play out in the future? Pereira: We’re very excited about it. It’s not done yet. There are some regulatory processes to be gone through. But we have the same values, culture and also a complementary product line. We don’t overlap. So, with the new partnership, we can offer a full menu to operators from 70 up to 240 seats. It’s better for airlines, it’s better for the market. Thapar: What is the threshold of minimum sales for the setting of a maintenance infrastructure or MROs in India? Pereira: This aircraft can fly 10,000 hours without maintenance. That’s two-and-a half-to-three years of maintenancefree flying, which is unmatched. You don’t need to invest on Day 1. If you start a fleet, you can take 5-6 years to build an eco system. 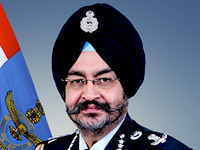 Thapar: What’s the safety record of this line of jets? Pereira: We never had one single accident in this jet family for technical reasons ever. So, it’s extremely safe. We have more than 20 million flying hours accumulated on these jets. We have 1500 planes delivered in 15 years. That’s 100 per year. There’s no single problem in terms of safety and fatalities for technical reasons.